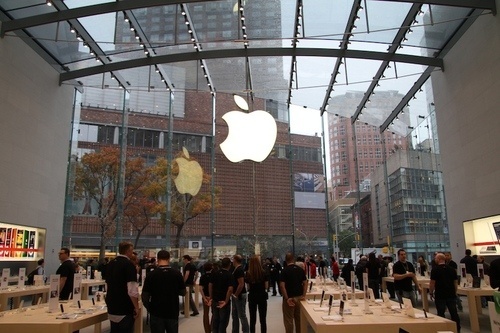 While every Apple Store is in some sense a place of reverence, the new Upper West Side store unabashedly evokes that feeling, more than any other. It used to be a Victoria's Secret. 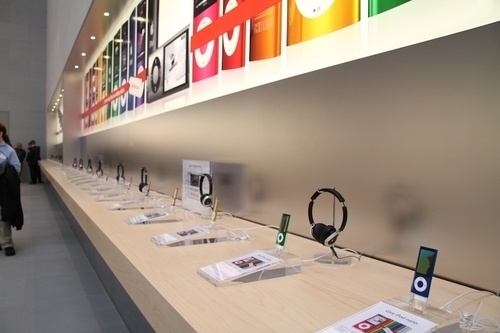 Apple says it has more demo units than any other store in the world. 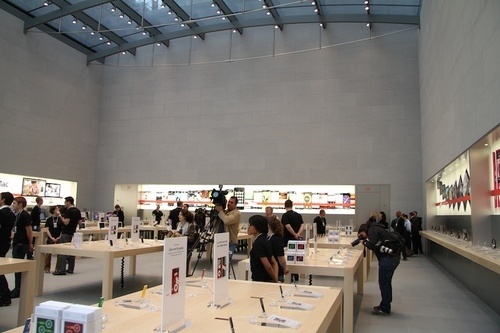 To give you an idea of the space, the walls are 45 feet tall, and could fit 11 Apple 5th Avenue Cubes inside. It's the spareness that's breathtaking. It's cold. 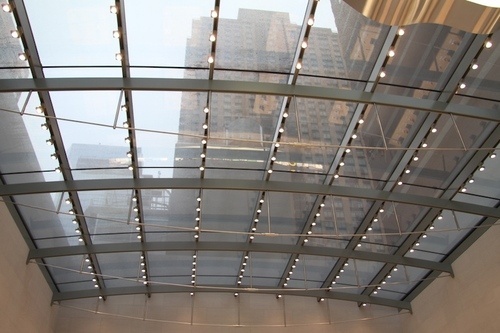 Not literally, but the stone walls, the glass, the sheer space rob it of any sense of warmth or feeling. The only sense of life in room is the products. It's a temple to them, really. 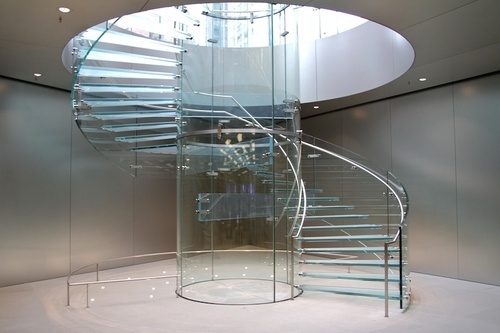 The beating heart, where things actually happen is tucked underground. 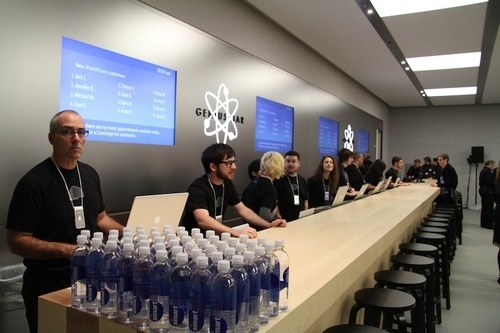 The Genius Bar and personal training space is the biggest ever in an Apple store, able to handle up to 100 customers at once at 45 feet long. 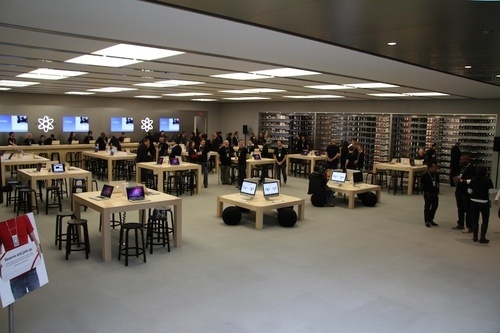 It's pretty much like any other Apple store down there, just bigger. It's impressive. 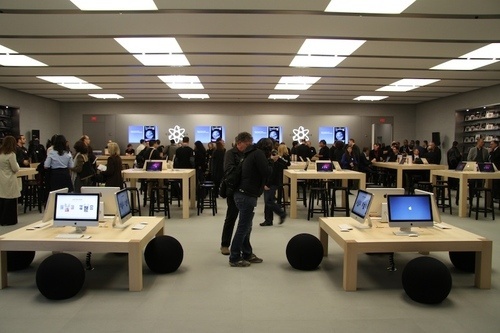 The store, at 67th and Broadway, opens Saturday. And they're giving away 2500 commemorative shirts if you're that kind of crazy.